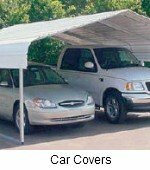 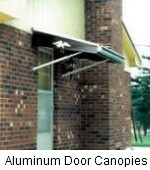 This page of aluminum awning pictures should give you some ideas for adding awnings to your own home. 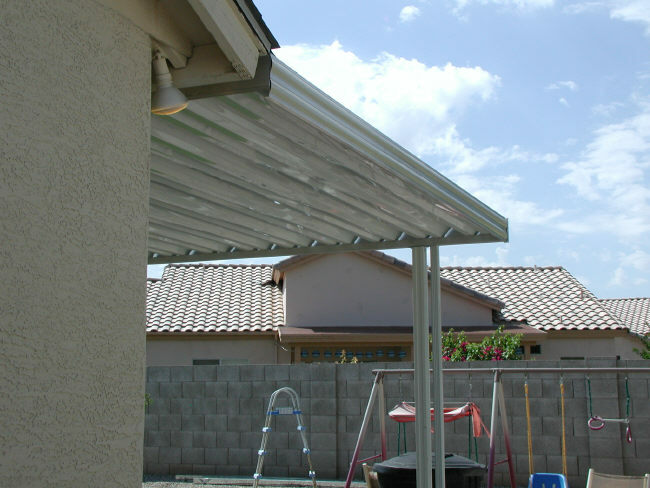 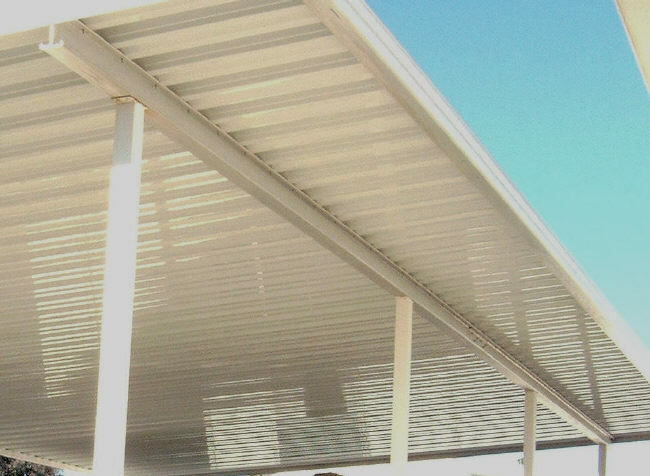 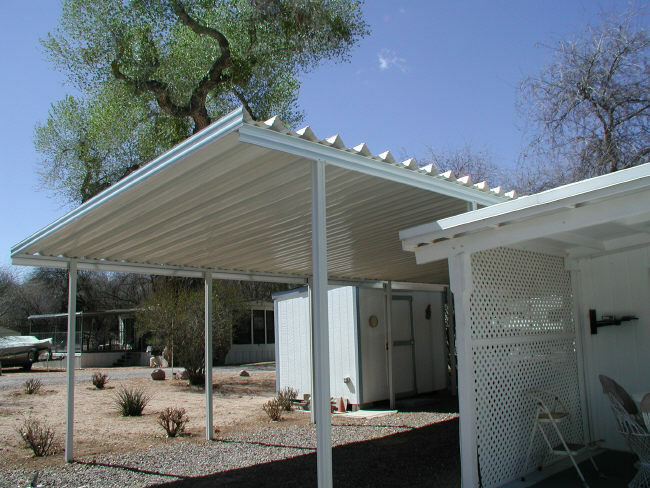 Aluminum awnings are a maintenance free way to shade a patio or carport. 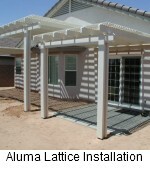 The color choices are numerous so matching your home color scheme is always easy. 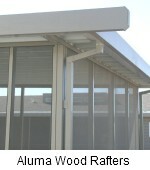 There are dozens of accent trim color choices as well as different frame and panel colors. The awning panels are made in several gauges for different wind and snow requirements. 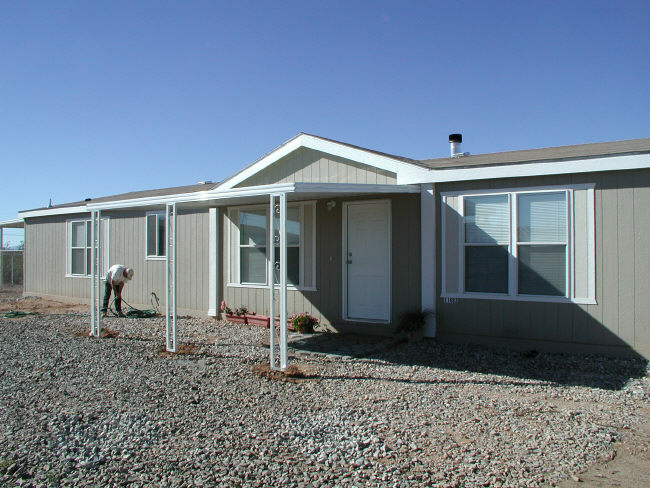 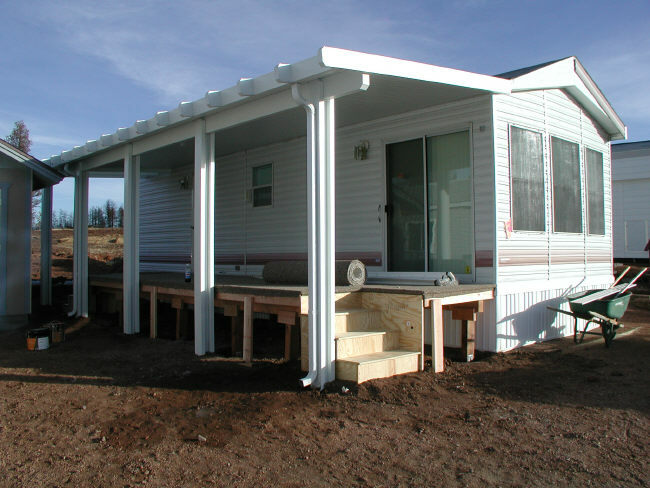 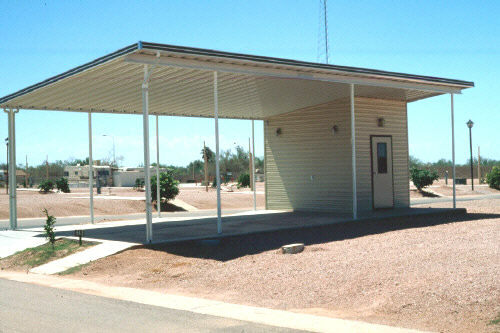 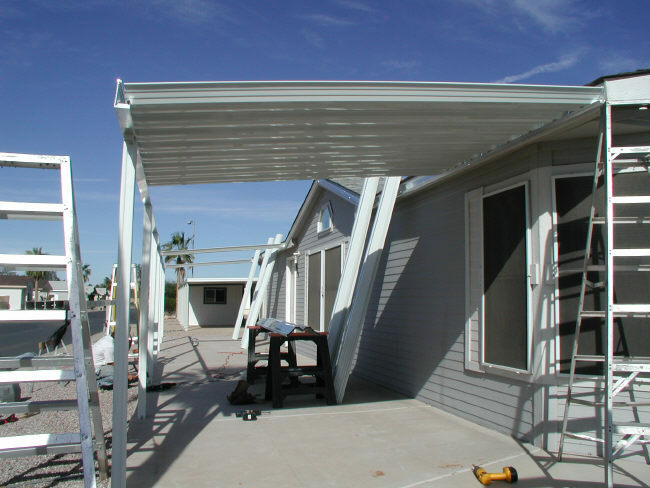 Aluminum awnings can be anchored to an existing concrete slab or safety stakes and concrete can be used to anchor in the ground. 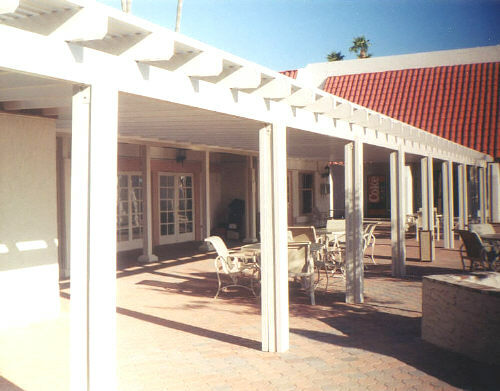 The posts used with these awnings come in several styles and gauges. 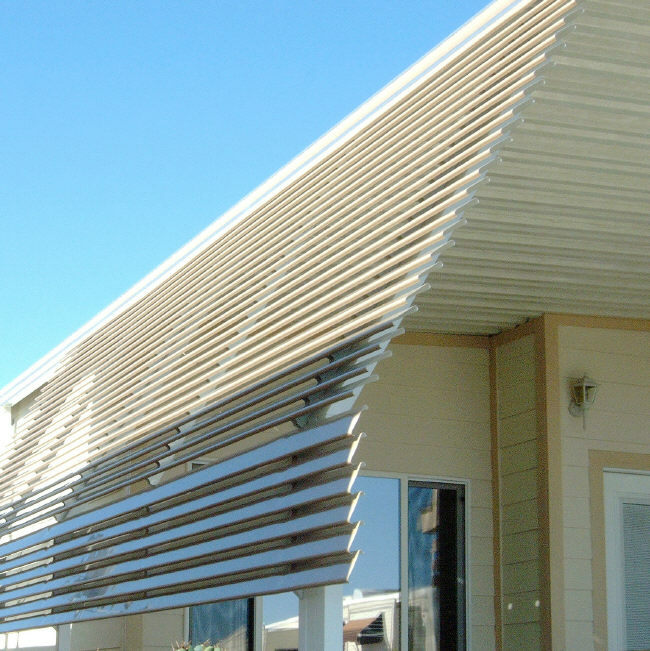 Ordering an awning is easy, visit R+M Home Solutions. 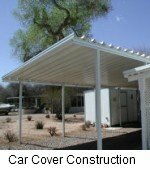 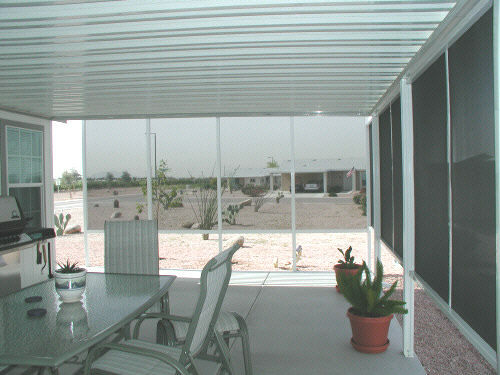 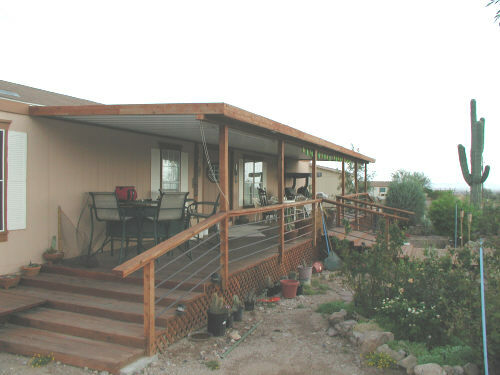 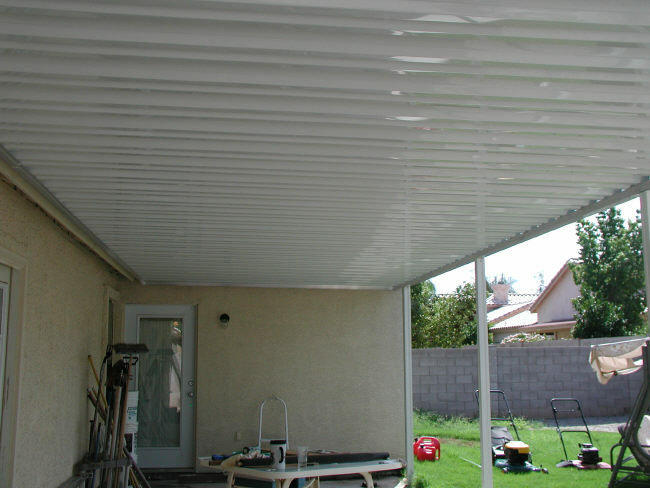 In the Mesa Arizona area let us be your first and last bid for an aluminum awning. 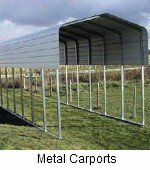 Clicking the images below will take you to other pages of interest.